Linux operating system: here we assume we use Ubuntu Linux. It should already be installed on your server. What you need to do is to configure it. 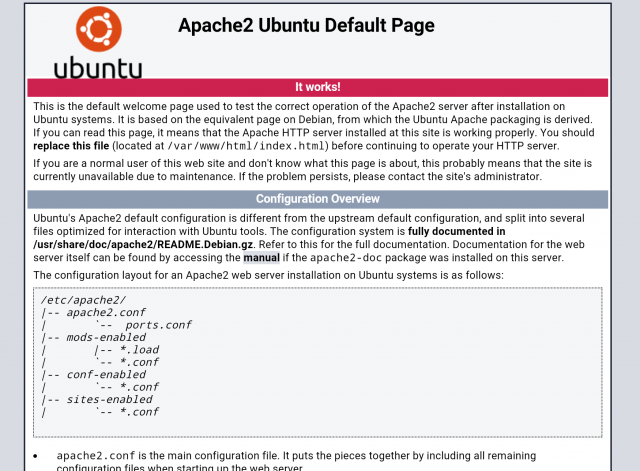 The Apache2 web server: we need this so our server can listen to web requests and responds them with WordPress application. The PHP language: this is because WordPress is written in PHP. We need to install this so the server can understand it. The MySQL database: as WordPress uses MySQL to store/retrieve data. Together these four are called the LAMP stack, and is widely used for web applications beyond WordPress. Familiar with linux command line operation. You can learn the basics via course like this. Knows how to remotely login to a server. Package repositories are up to date. Current installed packages are up to date. No. 1 is to ensure the package installer (apt-get) can find and download the packages we want. No. 2 is to make sure we have the latest patches on our server. The symbol #> represents the command prompt and is not part of the command. If succeeded each command should exit without any errors. It is worth to explain the above command as you will use it extensively. Here sudo means to execute the commands on its right as the super user or administrator. Linux requires to add sudo whenever you are running commands that change important system files. Doing so makes sure you won’t accidentally execute wrong commands and damage the system. apt-get is the main package manager for Ubuntu. Adding install tag tells the manager to install a new package. apache2 is the package name for apache2. Make sure your server’s firewall allows connection with port 80 (used by http connection, which is used by webpage requests). This is especially important for Amazon AWS, as the default setting for port 80 is not allowed. If you cannot connect via your url, try to connect by your server’s IP address. 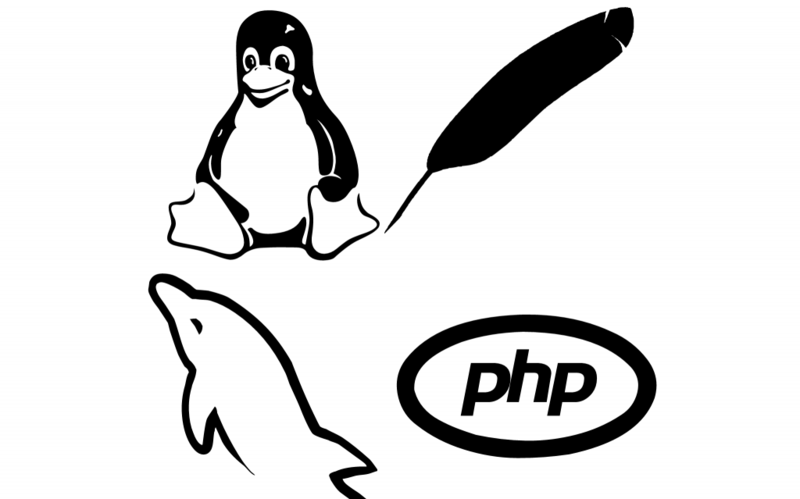 Here php5 is the main package. libapache2-mod-php5 is the add-on module so apache2 can understand PHP5. php5-mcrypt is an encryption library for PHP5, and is useful for encrypting sensitive data in web applications. Move index.html to something like index.html.bup . Create a new file called index.php. Type in a secured password. Then you will be prompted to type it again. After that the program continues execution in the shell and finish. Finally, unless you are familiar with SQL language, it is better to use a graphical interface for creating/changing databases. One such tool is PHPMyAdmin. It is a webpage-based tool for you to modify your MySQL databases. Please do not rush through this step. The following prompt you will see “apache2” IS HIGHLIGHTED BUT NOT SELECTED! You must hit “SPACE”, “TAB”, and “ENTER” to correctly install PHPMyAdmin with Apache2. After this you will see this prompt. NOTICE THAT “apache2” IS HIGHLIGHTED BUT NOT SELECTED! 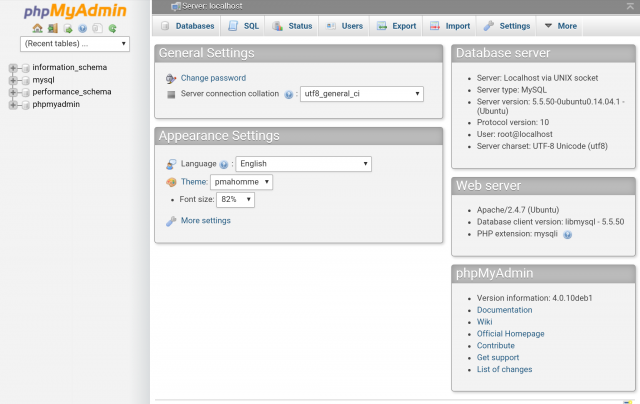 You must hit “SPACE”, “TAB”, and “ENTER” to correctly install PHPMyAdmin with Apache2. Pressing [SPACE], Apache2 is selected. 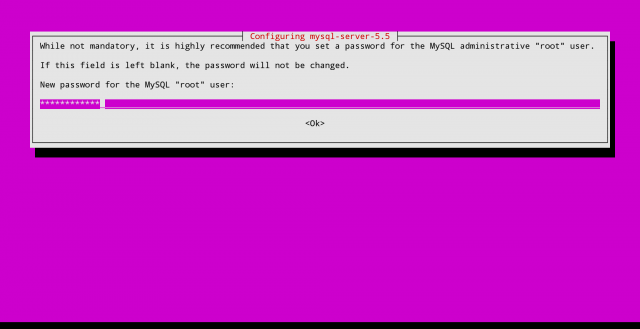 After this you will need to enter root’s password you specified when installing MySQL. 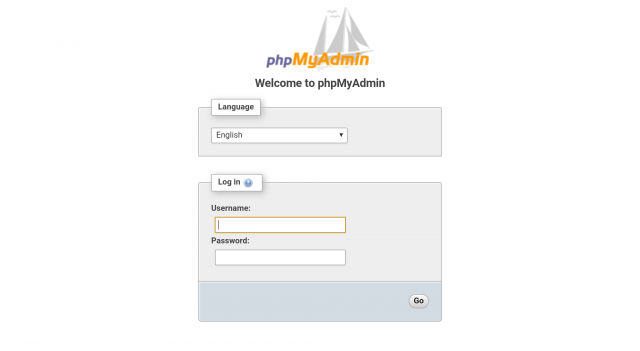 It will also ask a password for logging into PHPMyAdmin. If it asks whether to use “dbconfig-common” to configure database, select yes. You should see the login page. Congratulation! Now you have completed installation of the basic LAMP (Linux, Apache, MySQL, PHP) stack. Next we will learn how to configure Apache2 /MySQL and install WordPress in 5 minutes.